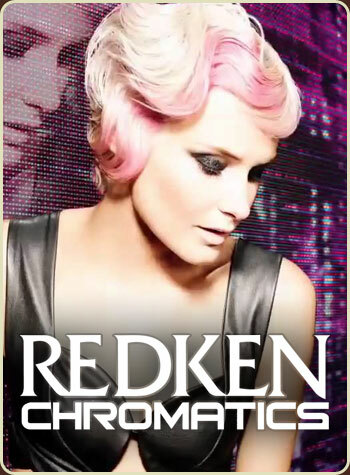 Experience revolutionary hair color from our Columbus hair salon with a Redken Chromatics color service. Chromatics is a permanent color offering exceptional vibrance and shine and best of all-NO ODOR and NO AMMONIA! Chromatics amazing formula will actually strengthen you hair, making it up to two times stronger than before your color service. One of our hair color experts will help you choose the perfect hue to compliment your skin tone and personality. Unlike other hair color formulas, Chromatics has zero ammonia and zero odor and actually fortifies and strengthens the hair cuticle instead of damaging it, leaving it up to two times stronger. You will have shinier, healthier-looking hair and vibrant color after just one salon visit. Make an appointment at our hair salon in Columbus for truly amazing color with long-lasting performance and durability.